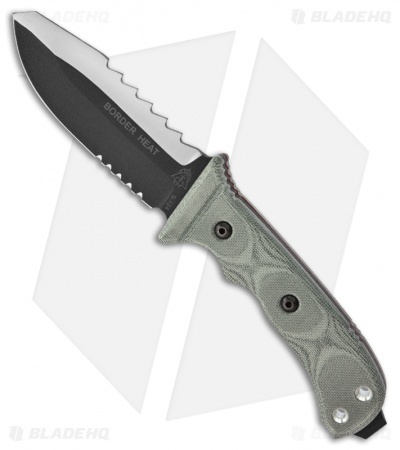 The Border Heat knife from TOPS Knives was designed based on input from several border patrol agents at various locations along the border. The Border Heat has a two-tone finished 1095 high carbon steel blade with partial serrations and a swedged spine with sawback teeth. 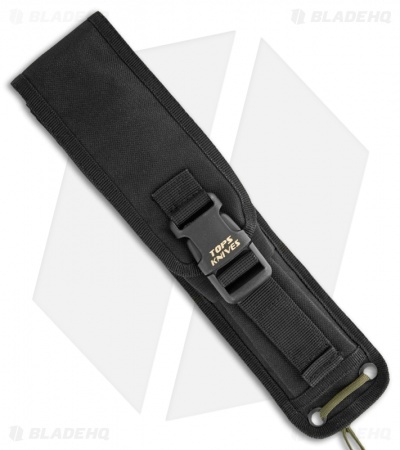 The handle is fitted with black linen Micarta scales and has two holes along with an extended tang pommel. 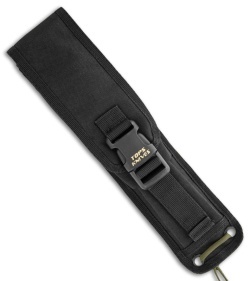 The Border Heat comes includes a ballistic nylon sheath with buckle closure.